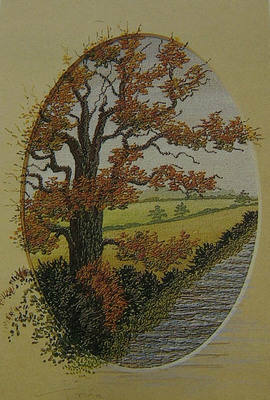 This machine embroidery design is of an autumn landscape, with painted background and painted mount. Includes background template for tracing. Full detailed step-by-step instructions provided, including illustrations of stitches.